The 6th floor museum – the spot from which JFK was assassinated – tells the story of that time in pictures, video and words. It is brought to life by the audio guides which are included in the $16 admission. Despite knowing most of the details before visiting, it was still a very interesting visit. We also went to our first ice hockey game. We enjoyed the game but the crowd dynamic was so very different to football! Check out my blog post for more on cultural differences! The 6th Floor Museum was incredible. I’ve never seen so many people engaged in a museum. Reunion Tower had a great view but it’s overpriced. The Bush Library wasn’t as good as I expected. The first half of it up to the Oval Office display was excellent. The second half was really reaching hard to try to make him look like a better president. The section on 9/11 was very moving and I really enjoyed the Decision Room activity. Dallas has a good selection of museums and activities, and plenty of entertainment options. The 6th Floor Museum offers an in-depth look at the John F. Kennedy assassination, which took place from a corner window in the building. Admission is $16 for adults and includes an audioguide. Allow 2-3 hours. 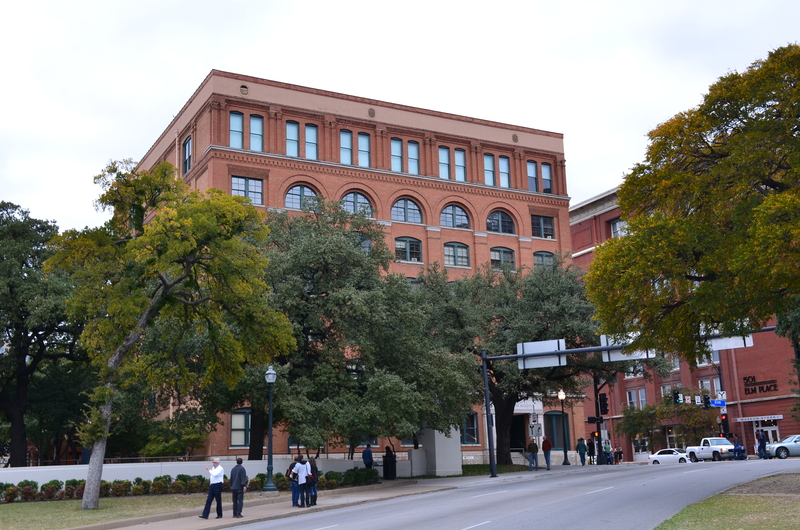 Walk through Dealey Plaza to see exactly where the events of JFK’s assassination unfolded on that fateful day. Visit the Old Red Museum to learn more about the history of Dallas. It’s located in the old county courthouse. The best views of the Dallas skyline are from Reunion Tower! $16 gets you up to the viewing deck. There’s also a revolving restaurant and café. The Perot Museum of Nature and Science is a hands-on museum with state-of-the-art displays. Adult admission is $19. 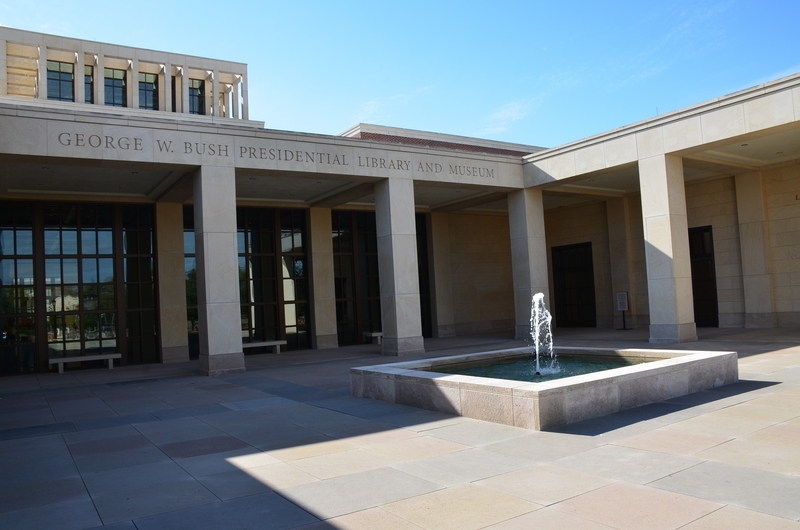 George W. Bush built his Presidential Library and Museum on the campus of SMU. Admission is $16 and parking is $7. Dallas has several professional sports teams to choose from. The Texas Rangers play baseball in nearby Arlington. The Dallas Cowboys (NFL) call the massive AT&T Stadium “home”. 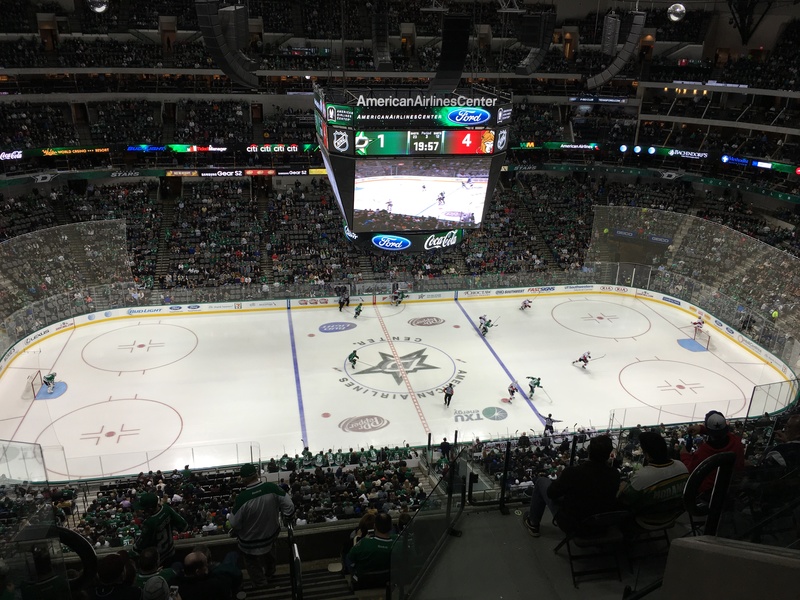 The Dallas Stars (NHL) and Dallas Mavericks (NBA) play downtown in the American Airlines Center. FC Dallas (MLS) play at Toyota Stadium. Casa Cavazos on the east side of the city has excellent Mexican food.